Not only is it Australia’s capital city, Canberra is also home to some of the most magnificent locations for weddings. With extensive parks and gardens, gorgeous surrounding countryside, historic buildings, wineries, homesteads, and many restaurants and hotels to choose from, Canberra caters for all tastes and styles. With so many choices though, it can be tough to narrow it down - and that’s where we come in! We’ve selected 18 of Canberra’s best wedding venues to give you a hand to help you discover the perfect venue for your special day. We’ve also listed them under ‘City’ and ‘Country’ headings to make choosing that much simpler. Are you looking for a venue that will go the extra mile to ensure everything is perfect for you? Well, if you choose the Hellenic Club, this is exactly what you’ll get. They pride themselves on providing an experience that is completely flexible and customisable to your individual needs - so if you’re all about good service, put this one on your short list. Venue capacity: 40 to 700 guests seated or up to 1000 guests standing. Your choice of either a Grand Ballroom style reception or a more intimate space. Hotel Kurrajong Canberra originally opened in 1926, a time when personal style was celebrated - and so it is again. The hotel has been refurbished to it’s original grandeur, with 21st century comforts carefully incorporated. With the facilities to host an intimate event for 12, a sit down dinner for 180, or a cocktail party for up to 350 guests, this 1920’s style Heritage hotel provides traditional customer service, wet weather contingency options, onsite accommodation plus a ceremony and reception in the one location, making it the perfect, versatile location for your special day. How does a wedding scoreboard message or on field photo opportunities sound to you? You can have this and more at Manuka Oval. The stunning high ceiling, floor to ceiling windows of the Bradman Room allows for a visual delight with a stunning greenery backdrop, while the new Media Centre roof top terrace boasts spectacular views across Kingston, Red Hill and the Parliamentary Triangle. Envision your beautiful wedding with your family and friends enjoying drinks and delightful bites while GEMA Groups events team take care of all the finer details. With seating capacity for up to 240 guests for a sit down reception or 300 for a standing reception, could Manuka Oval be ‘the one’ for you? Mercure Canberra, offers weddings with character…Built in 1927, it provides a unique wedding venue that will make your special day one to remember. The internal courtyard gardens are beautifully maintained to mimic the original style of the 1920's and the indoor reception spaces offer a blank canvas for you to design and create your dream setting. Family and friends travelling to share in your wedding day can take comfort in their newly refurbished accommodation rooms and the bridal party won’t need to stress about getting to the venue on time. With a selection of indoor and outdoor spaces, flexible packages and menu options, they have you covered. The National Museum of Australia is situated on Acton Peninsula on the picturesque shores of Lake Burly Griffin. The Museum’s striking architecture was designed to resemble knotted ropes symbolising the many stories that have intertwined to create our nation's collective story. With a selection of beautiful spaces to choose from—many with stunning views across the lake—the National Museum of Australia is the perfect venue for a unique and memorable wedding reception for you and your guests. Choose from the Main Hall (470 seated or 1000 cocktail), the Bay Window (110 seated or 150 cocktail) or the Peninsula Room (180 seated or 250 cocktail). Wow your guests with a stunning building that speaks for itself! The National Portrait Gallery is a dramatic and culturally rich venue to host your wedding. This elegant building has the greatest respect for the local environment, natural light and human proportions and is home to the national collection of portraits. The Gallery features multiple flexible event spaces which can cater to any style of wedding, with many spaces able to be used simultaneously to create a vibrant event your guests will remember. A bold, intimate and exclusive setting for your special day with seating capacity for up to 200 guests using round tables, 250 using long tables or up to 500 for a cocktail reception. Celebrate this life’s event in style with Pavilion on Northbourne’s Tropical Garden Atrium providing a unique backdrop for a memorable ceremony. Work with the Executive Chef to tailor a menu perfect for you - be it a stand up cocktail event, a five course degustation meal with matching wines, or a banquet for your nearest and dearest - your chosen menu will feature the finest regional and seasonal produce expertly prepared. Seating capacity includes 170 guests (with a dance floor), 190 (without a dance floor) or up to 250 guests for a cocktail function. Complete your day and unwind in a luxurious spa suite at any one of their properties, complete with sparking wine, chocolates and room service breakfast. With a range of stunning boutique spaces and exquisite menus to match, QT Canberra specialises in designer weddings that are anything but conventional. Whether your dream wedding is a grand and opulent affair or leans more towards an intimate dining experience, the bespoke touches, personalised service, and signature QT quirk will ensure your big day is elegant, enjoyable and something you’ll cherish for the rest of your lives. If you’re after an extraordinary day, one that is instantly recognisable as your style, and that won’t be forgotten anytime soon - QT is for you! Seating for up to 550 guests or up to 1000 guests for a cocktail reception. The Abbey is located in scenic Gold Creek Village, just 15 minutes from the city. Featuring soaring chandelier studded ceilings, hand carved oak and a 19th century Roslyn Organ, it combines luxury and intimacy seamlessly. With quality Australian produce sourced locally, a covered courtyard for a wedding ceremony and pre-dinner drinks and canapés, the Abbey Function Centre will transform your dream wedding into a reality. Seating capacity: 250 guests seated or 400 guests for a cocktail reception. The Terrace is EPIC’s special, intimate space in its own self-contained building, with a private bar and dance floor. Flooded with natural light, it overlooks the lush arena and features an adjoining viewing deck. The Terrace is perfect for weddings and is only 8 minutes from the city, with free parking, award-winning catering and an expert on-site event team. With the capacity to cater to 110 banquet or 200 cocktail guests, you will love The Terrace’s ambient country setting. For couples who love the great outdoors, A Country Wedding Binda offers a beautifully layered, richly detailed setting for your most romantic day. The outdoor garden ceremony area, bathed in dappled sun and resplendent at sunset will be the perfect backdrop for your photos, followed by finger food in The Courtyard, then dinner in the magnificent Mughal Marquee, with its white tower and draped sides. The perfect setting to create your vision for your dream wedding - fabulous food - pure romance. Venue caters to 124 guests seated or 200 guests for a cocktail reception. The Homestead embraces four queen ensuite rooms, formal lounge, breakfast room and upstairs sitting area - the perfect setting to be pampered! The acres of park-like gardens are ideal for a beautiful ceremony and amazing photographs… Summer, Autumn, Winter or Spring the gardens of Ginninderry offer a stunning backdrop for your once-in-a-lifetime event. And last but not least, the grand reception centre boasts high ceilings, chandeliers, fireplace and spectacular views from the French doors and outdoor entertaining area, plus their award-winning chef will tantalise your taste buds with his extensive menu selection. With a capacity for 100 seated or 140 standing, Ginninderry Homestead has a vintage sophistication and country charm, but is also fur-baby friendly and BYO! Located on 300 acres of parkland, manicured gardens and nature reserve, Goolabri Events provides a stunning, secluded environment for your special day. You can choose your own idyllic ceremony location from the many settings available and then enjoy the intimate charm of The Wren or the stunning indoor/outdoor setting of The Wedgetail Pavilion for a spectacular night to remember. Set on 100 acres of natural bushland with a freshwater lake as its centrepiece, Kianinny Bush Cottages offers everything you need to plan your special day. With onsite ceremony facilities, the choice of two reception venues and 20 fully self-contained log cottages for your guests, Kianinny is the perfect destination wedding location. Why not enjoy an entire weekend of festivities! Venue has the capacity for up to 120 seated guests or 150 for a cocktail reception. ‘Weekend away’ destination weddings are the perfect way to bring your family and friends together for quality time and an unforgettable experience. Located in Batemans Bay on the South Coast, Lincoln Downs Resort offers accommodation plus ceremony and wedding spaces - perfect for both intimate and grand celebrations. Nestled in a picturesque landscape of a charming garden, a private lake as a backdrop, with a gazebo that will be ideal for your ceremony and photos, this venue has the ability to host intimate gatherings of 20 guests in their restaurant or glassroom or up to 90 seated guests in their Lakeview room. Situated on the picturesque Sapphire Coast in Pambula, Oaklands Events Centre was purposely built to garner a very rustic yet elegant atmosphere and is a beautifully constructed complex, drawing inspiration from rural yesteryear. Beautiful gardens provide the perfect setting for your guests to enjoy pre-reception drinks and canapés. The Oaklands Homestead, circa 1847, located on the grounds of the Events Centre is the perfect setting for your ceremony, with magnificent photo opportunities within the gardens. Oaklands’ picturesque homestead is also ideal for the bridal party staying the night before and getting ready on the day in the wonderful north-facing sunroom and, of course, staying the night as newlyweds. Venue capacity: 240 guests seated or 300 guests standing. Experience the magic of a Peppers wedding at your choice of Peppers Manor House, Sutton Forest, or Peppers Craigieburn, Bowral, just 90 minutes from Sydney and less than two hours from Canberra. With garden ceremony locations, magical reception venues and charming estate accommodation, all your wedding dreams are in one place at Peppers in the Southern Highlands. Venue capacity: up to 180 guests. The Old Coach Stables provides a very unique venue in a rural setting for your wedding day. Built in 1857, The Stables has been recently restored into a beautiful restaurant. Located 50 minutes from Canberra and 30 minutes from Yass, Goulburn and Crookwell, this venue is a wonderful combination of history, food, and wine, on a working sheep and cattle property. 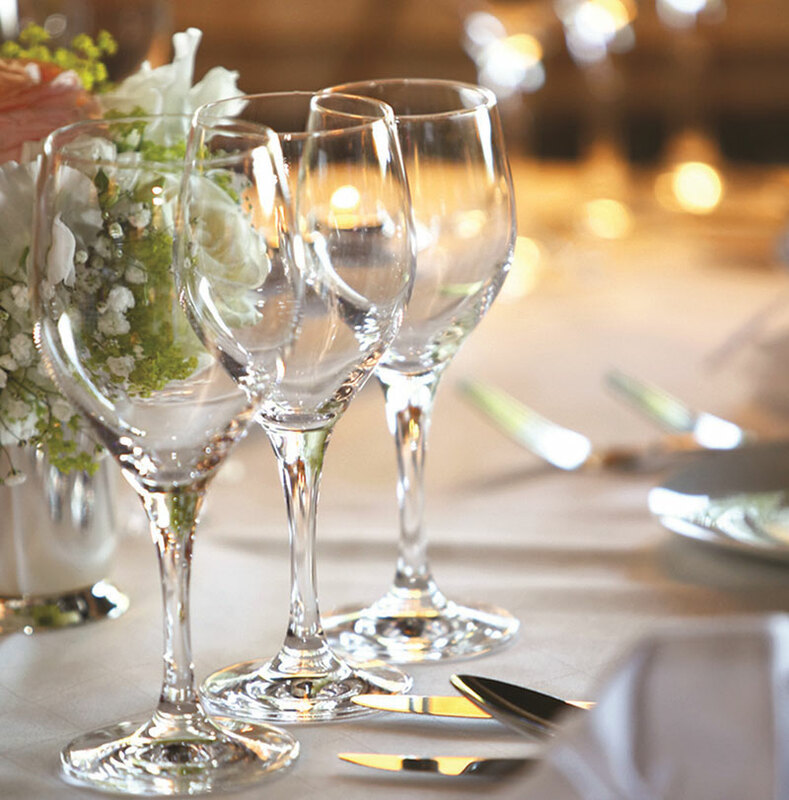 Searching for more Canberra wedding reception venues? Check out our online directory or visit our Your Local Wedding Guide Expos held at Exhibition Park in Canberra, twice a year in February and September.